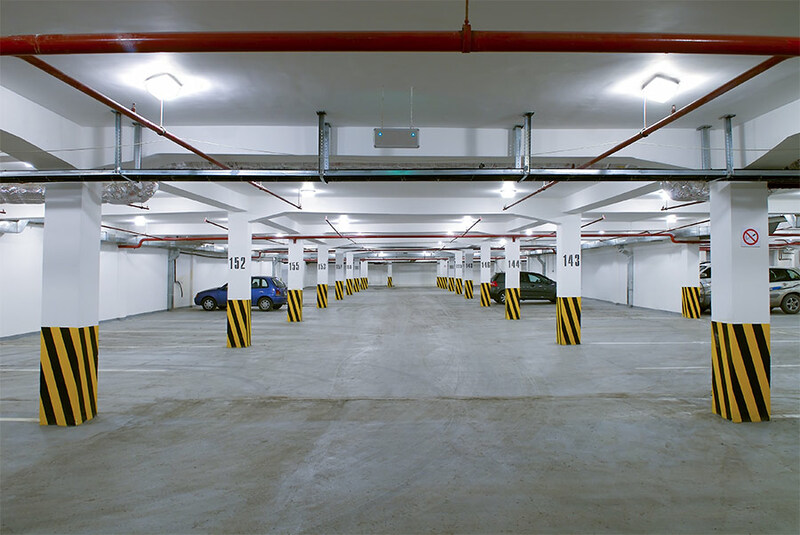 LED Canopy Light and Parking Garage Light - 100W High Power LED - Natural White: Shown Installed In Low-Bay Warehouse Application. 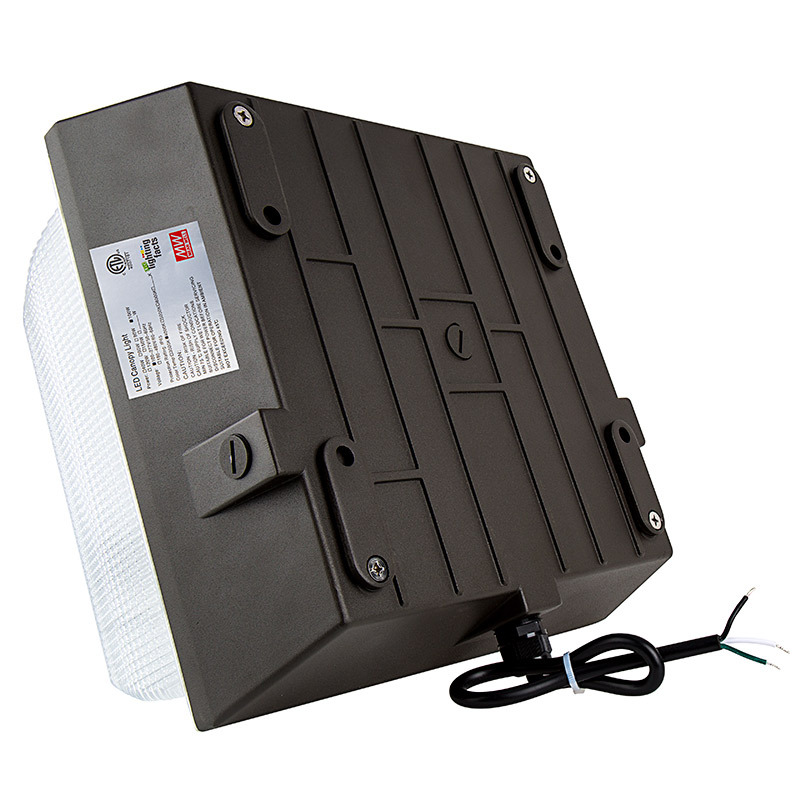 LED Canopy Light and Parking Garage Light - 100W High Power LED - Natural White: Shown In Parking Garage. 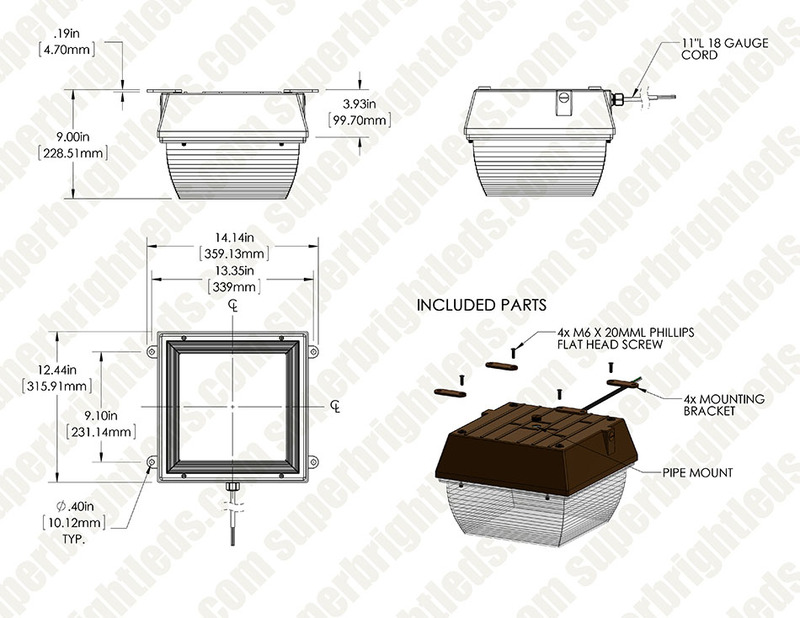 LED Canopy Light and Parking Garage Light - 100W - Natural White: Showing Beam Pattern From Approximately 12' Warehouse Ceilings. 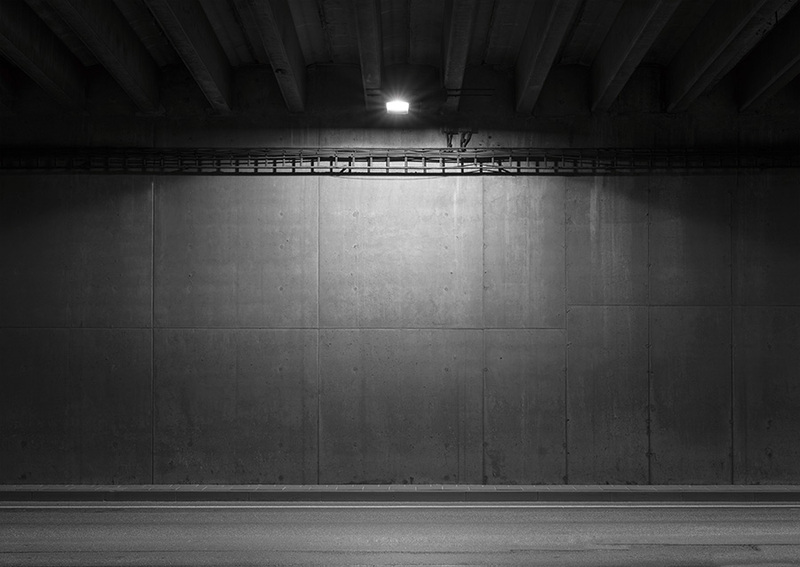 LED Canopy Light and Parking Garage Light - 100W - Natural White: Shown Illuminating Parking Garage Entrance. 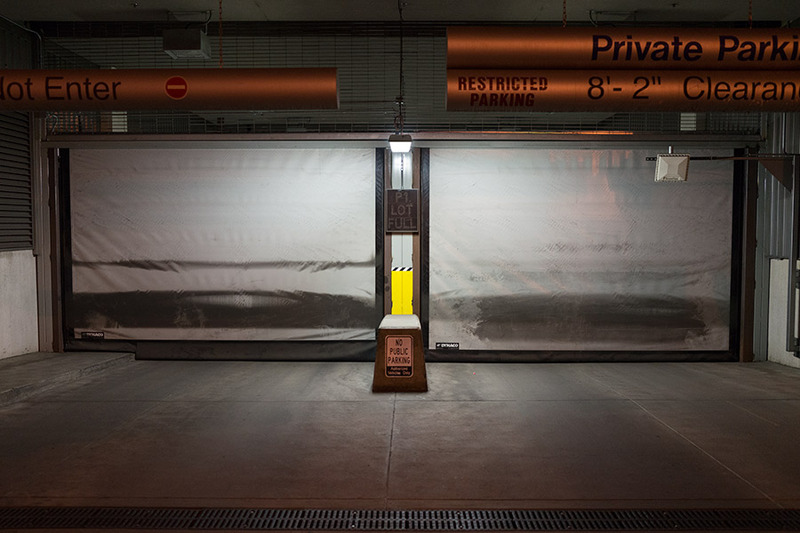 LED Canopy Light and Parking Garage Light - 100W High Power LED - Natural White): Shown Installed In Parking Garage. 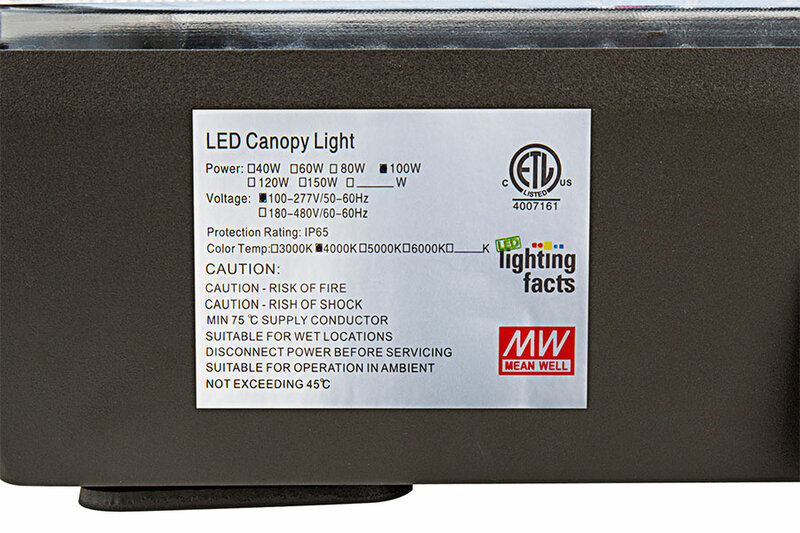 This LED canopy light is great for security lighting, parking garage lighting, gas station lighting, low-bay warehouse lighting, drive-thru lighting, tunnel lighting, train stations, and covered walkways. 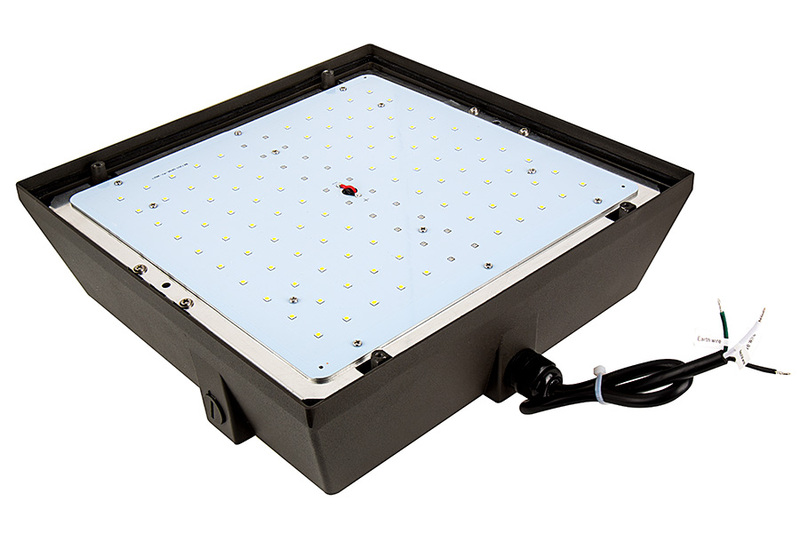 Using 100 SMD LEDs, it emits 9000 lumens of powerful cool white illumination. 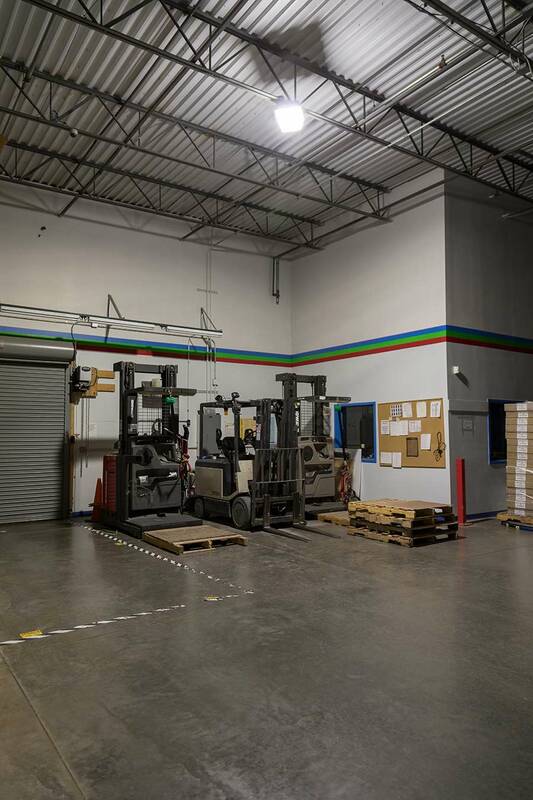 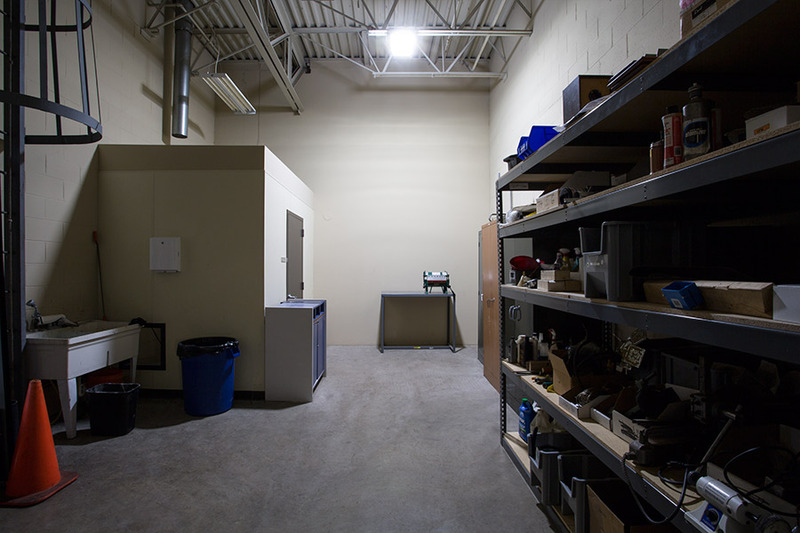 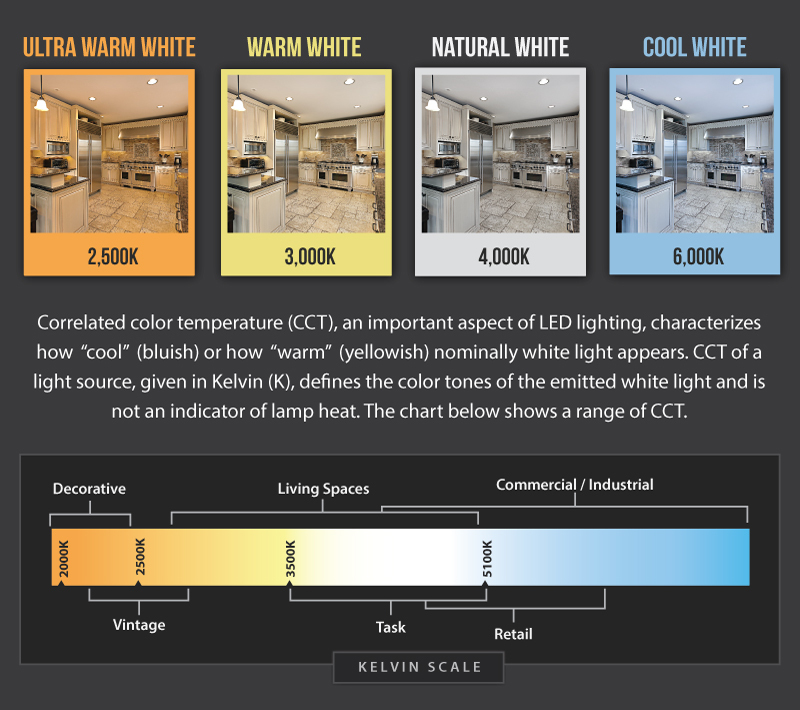 The 100-watt LED light is a replacement for traditional 175-watt metal-halide (MH) fixtures and has a life expectancy of at least 50000 hours— 3 times as long as MH fixtures— which reduces repair and replacement costs. 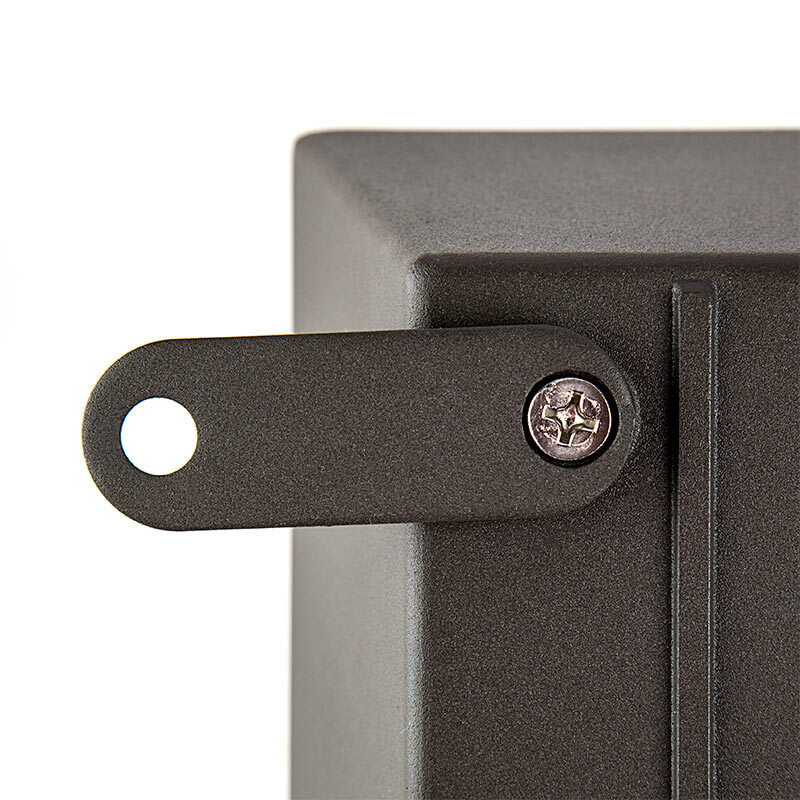 Bronze die-cast aluminum housing and a shatterproof polycarbonate lens protect all internal components and LEDs. 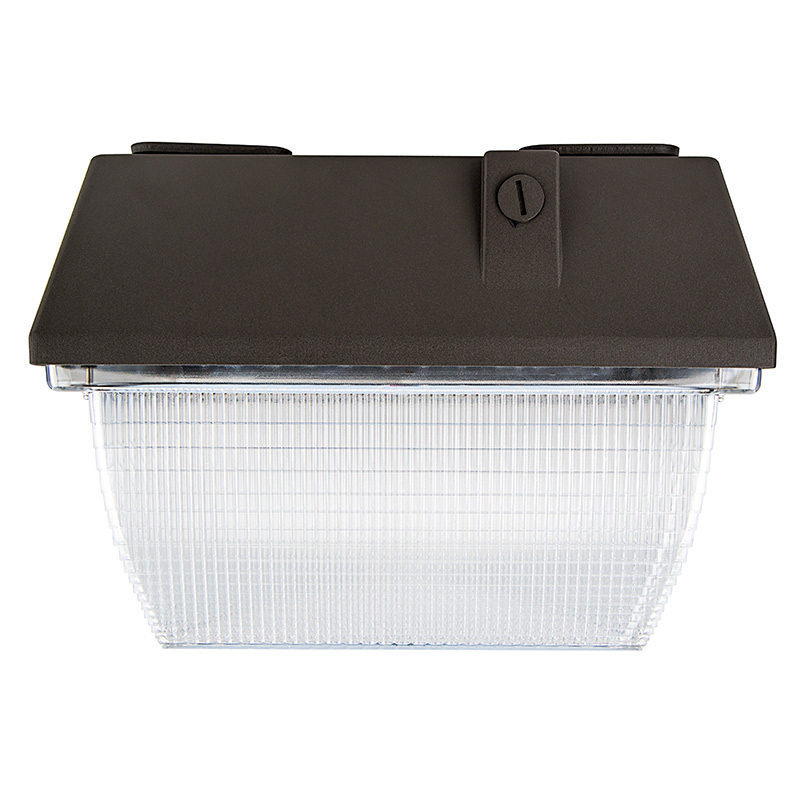 This weatherproof light includes a rubber gasket to seal out moisture. 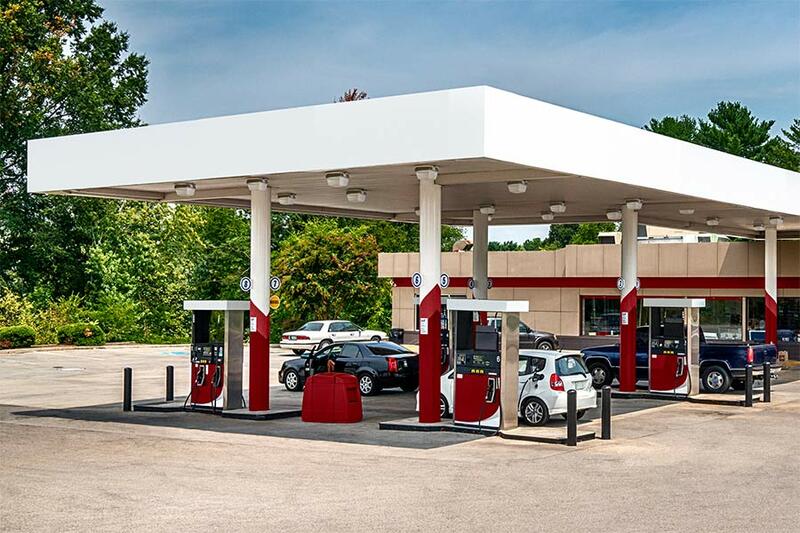 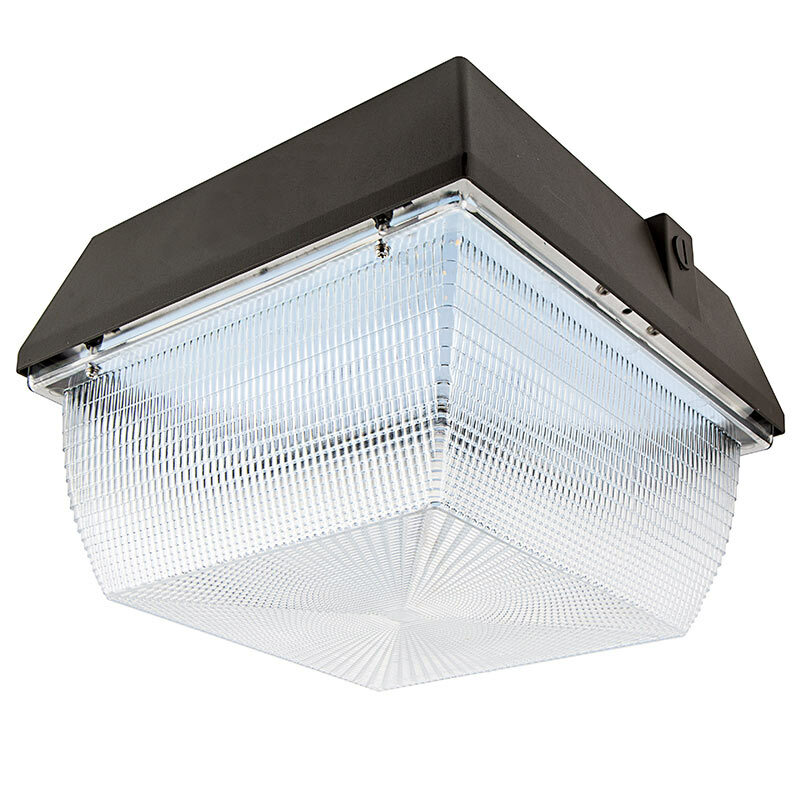 The surface-mount LED canopy light is equipped with a Mean Well constant-current driver and has side and rear knock-outs that allow for versatile wiring options. 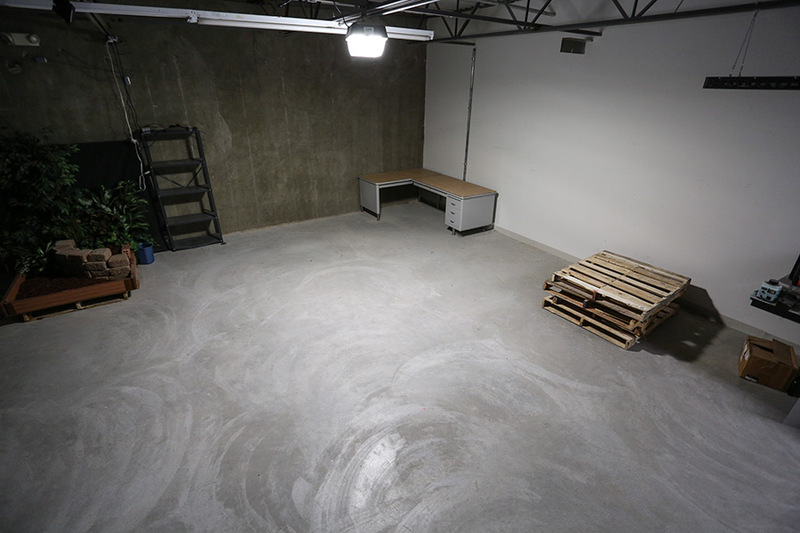 Operates within a wide 90-277 VAC range. 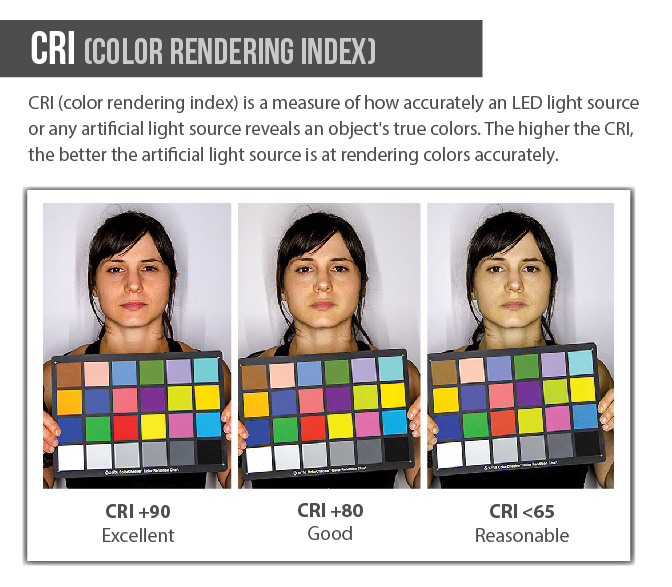 See similar photocontrol version.